God does not will humans to suffer, either deliberately or by neglect. Nor does he create your suffering. You do that all by yourselves. God does not completely control your world or your lives. If he did you would not have free will. You would be a robot controlled by God. You have many striking examples of humans who endured the most difficult, painful experiences imaginable. Yet, through the sheer force of their free will, they rose above and moved beyond those challenges. Helen Keller is certainly one of those people. Because of illness she lost her sight and hearing at the age of 19 months. She transformed her suffering into a magical life, growing up to be a prolific writer and eloquent speaker. She touched many lives the world over. Look for the joy in all your experiences, even your tough ones–especially the tough ones. It is always there, waiting for you to discover it. There is always light in your darkest moments. You just have to be willing to see it. The only true purpose of suffering is to teach you that suffering is unnecessary. It has no other purpose. 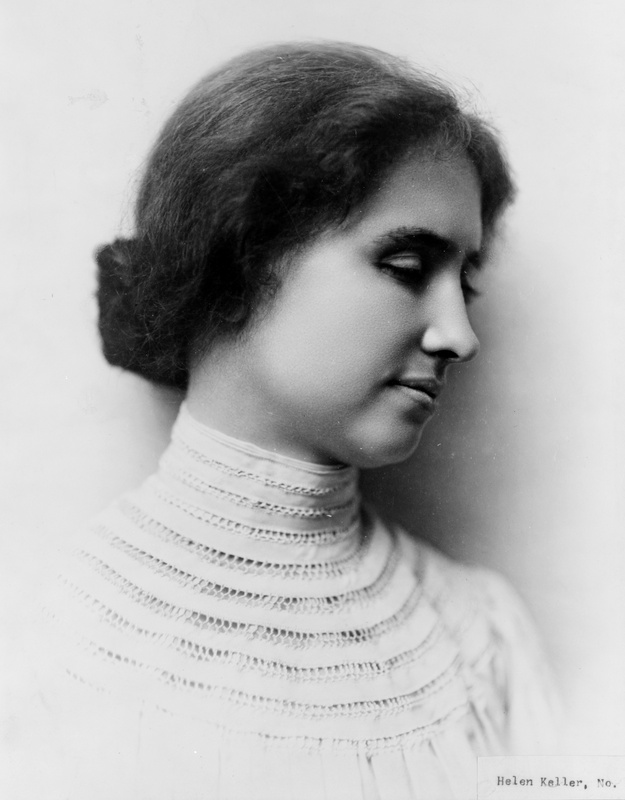 Here is a brief video overview of Helen Keller’s amazing life, a life she pursued passionately. Instead of allowing her blindness and deafness to be sources of suffering, she dedicated her life to those who were suffering, teaching them they had no limits. Is Joy an Impossible Dream? What is your take on human suffering? Is pain or deprivation the same as suffering? Please share your thoughts and comments with us below. Suffering can often be a state of mind and an opportunity to look for a different perspective. Also there is a perfection to everything we create, the reason for which we may not always be aware. Thank you, Jane. I agree — suffering is a state of mind, a state we can change in the blink of an eye. Once I thoroughly got it: that each person is an authentic aspect of Source, it then was clear to me that it is the Aspect creating the experiences that it, Source, wants to explore. Each of us, aka – authentic Source, is creating a marvelous, private reality, hand tailored for our individuated needs/ desires. This life is at once an uniquely private, yet because at source we are all Source, unified creation. Realizing all this allowed me to stop being co dependent and worrying about the other person, and what they might be going through. They will guide to them what they need/ want in their experience, their personal creation. If it is relief from suffering other aspects will be created in their life creation to assist. I notice that when I’m meant to help someone I’m in that position doing it; not unlike Ms. Sullivan; or Doctors Without Borders. There is no God out there creating our lives. There is only “God” Source in here, doing so, each precise, joyful, moment; no matter appearances from the “outside”. If we are meant to help we will do so, because we call out to each other at unified levels, when we need each other in our creations. We actually are Source. We’re doing this. Its exciting, like Helen’s life, to realize this. All this energy is then released for use in creation because it is such a joy. The individualized Aspect needs to learn – only learn from experience – that they alone are “making it so” – which means they then can use that same energy to transform everything in their life. That’s the energy that propelled Helen. She got it and ran with it. Thanks very much, Margaret — well said! We are, after all, Source/God, as you pointed out. Inspirational? Of course. Beautiful? Of course. Anything less than what is expected of you? Of course not. I thank you; the universe thanks you. (Well, there I go again: speaking for the universe, but I think that the universe does appreciate you, who you are and what you do.) Thanks again, dear John Cali. Thanks so much, Pat, for your kind words — as always. I soooo needed to hear this tonight. God Bless those who have suffered, those who still suffer and God Bless those who have and will overcome suffering. You’re most welcome, Martha! Indeed, God bless us all!